While you can never be too prepared while camping, it’s also important to pack light. 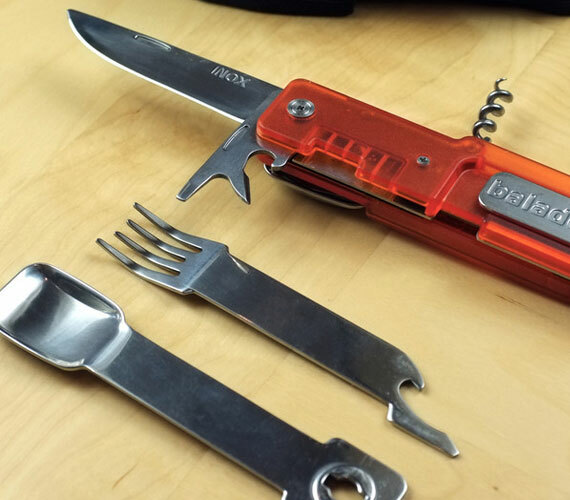 The Cutlery Knife set includes a lot of important eating tools without taking up a lot of space in your bag. It includes 7 functions, including a knife, spoon, fork, can opener, corkscrew, bottle opener, and screwdriver. Available in black and orange, each kit comes with a black nylon pouch with a magnetic closure.